The Kenko to Keiei o Kangaeru Kai (roughly translated as the Study of health and management group) hosted a symposium recently in Tokyo to discuss health and productivity management, as well as effective use of health-related data. 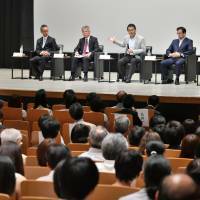 The symposium in Tokyo’s Chiyoda Ward on May 22 invited speakers from the public and private sectors to share insight on such fronts. The Japan Times supported the four-hour event. In the opening remarks, four speakers — one via recorded video — from the organizations that co-hosted or supported the event talked about the importance and challenges of health and productivity management in Japanese enterprises to help workers stay healthy and productive. They also noted that companies are striving to secure a stable workforce in an era of depopulation and longer life spans. In his keynote speech, Hiroshi Aoi, president of major retail chain Marui Group Co., talked about the group’s efforts in the health field. He noted that it took 10 years to build a corporate culture that places importance on employee health. In the last 10 years, Marui has addressed such issues one by one, including reducing overtime by almost 70 percent since 2007, increasing the number of women in leadership positions, as well as the boosting the number of male employees taking child care leave. Aoi then started the promotion of the health and productivity management two years ago in the forms of self-care education, analysis of data collected via medical checkups, health resilience programs, establishment of female “wellness leaders” and so forth. For Marui’s employees who have voluntarily joined such projects, they are allowed to work on them during normal working hours with understanding and support from their superiors. “Millennials aren’t hungry for good salaries. They respond to social messages,” Aoi said. He stressed that the shift from “for the company” to “for the society” is a new value that is also evaluated highly by workers, investors and the stock market today. Meanwhile, Japan Airlines Co. is also a forerunner in health and productivity management. 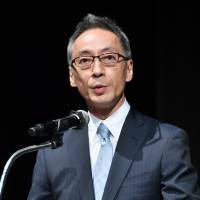 One of its achievements is that 196 out of 223 workers who were diagnosed with cancer in the past five years have come back to work after sick leave, according to the firm’s Executive Vice President and Chief Wellness Officer Tadashi Fujita. Fujita explained that this is due largely to the flexibility in both working hours, the place of work and the support program tailored to each person considering their health condition, progress of treatment and the position they will be assigned to. 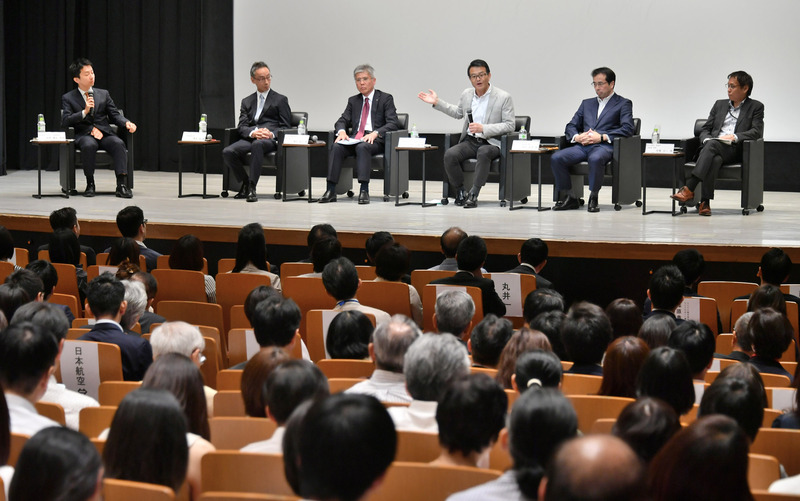 In a panel discussion, moderator Yuji Yamamoto, the founder and CEO of MinaCare Co., asked how health and productivity management could be presented in a more valid way. 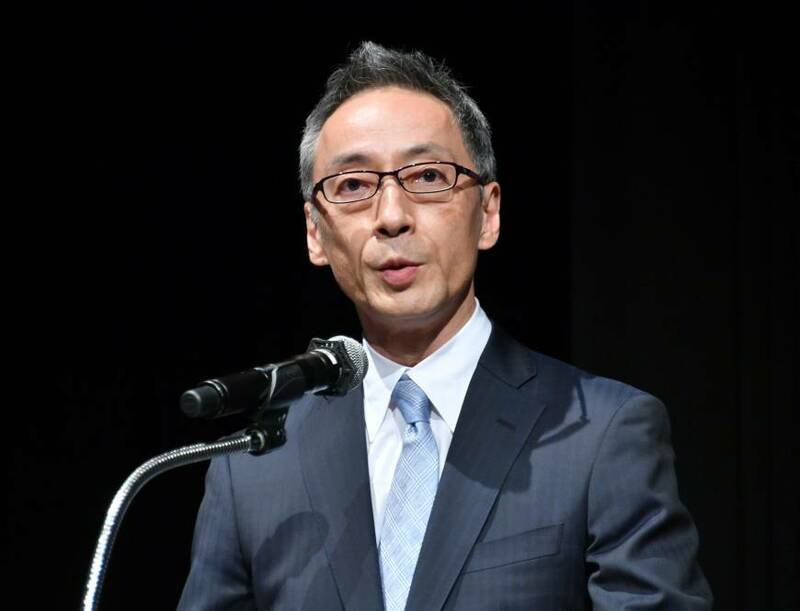 Kazumi Nishikawa, the director of the Healthcare Industries Division in the Commerce and Service Industry Policy Group of the Ministry of Economy, Trade and Industry, pointed out that macroscopic analysis of the accumulated data of more than 1,200 companies that have so far answered the Survey on Health and Productivity Management will help. “This is the fourth year since the annual survey began, and now we have enough data on hand. The government should disclose it so that possible correlation between the health and productivity management efforts and stock prices, for example, can be analyzed,” he said. During the panel discussion, Aoi noted that the concept of “more and faster is better” is already outdated. He noted that what is expected of companies is to produce new values, something only made possible by creating healthy and productive working conditions and an environment for employees to maximize their potential. In the second part of the symposium, three speakers from Disco Corp., Ajinomoto Co. and SCSK Corp. also shared the examples of their companies’ projects to enhance health and productivity. 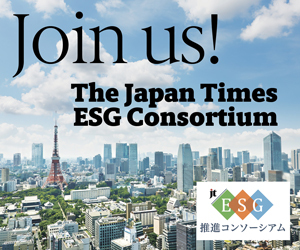 This series highlights ESG (environmental, social and governance) activities of companies and other organizations. For more information, see www.japantimes.co.jp/consortium/esg.